The curse of dog flu has descended onto Japan and with it snout fever can’t be far behind. It has turned the dogs of Megasaki City into a nasty collection of mutts. Along with it, there is the constant fear that the disease will spread to the human population and to that end; a decision is made. All the dogs are transported to Trash Island which is essentially a large garbage dump off the coast. But is there more to the decision to deport the canines than meets the eye? 12-year-old Atari sets out to Trash island to try and find his loyal servant and dog Spot. Along the way he will encounter a group of dogs that will try to help him on his journey. 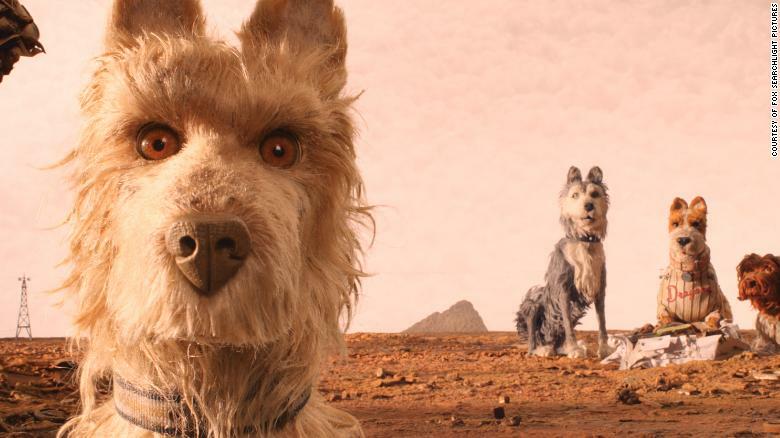 This is the latest outing by Wes Anderson and his second fully animated feature, following on from the Fantastic Mr. Fox in 2009. 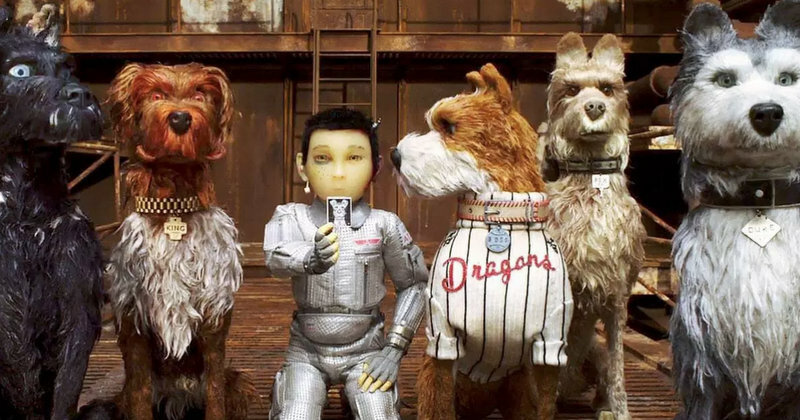 It is a gem of stop-motion animation and, as you would expect, another excuse for Anderson to indulge his love of art design in film. The world is very well developed and looks stunning, from the clunking machines to the loveable furballs themselves. The music is also very impressive in this adventure, with strong percussion sounds driving us along throughout. Alexandre Desplat is responsible for the movie’s original score. He recently won an Oscar for his work on the Shape of Water. The French composer has previously worked with Anderson on The Grand Budapest Hotel (another Oscar-winning affair), Fantastic Mr. Fox and Moonrise Kingdom. The cast is a collection of Hollywood’s finest, as the great and the good line up to work with Wes. The major roles fall to Bryan Cranston, Edward Norton, Jeff Goldblum and Bill Murray but there are also names such as Greta Gerwig, Frances McDormand, Scarlett Johansson, Harvey Keitel, Tilda Swinton and Yoko Ono on the list! It is quite a job to connect each voice with its owner, so I’d suggest you just let it wash over you. Despite the PG rating, this film is fairly confusing for kids. It features subtitles and even some sections in Japanese without translation, which the grown-ups will struggle with also. Regardless of this, I’d imagine a lot of children will get to see it in the cinema, as they accompany their parents! It really is Anderson’s attention to detail that impresses, so many small delights to capture the imagination.